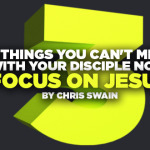 The following post was written by Ben Trueblood, Director of LifeWay Student Ministry. This is the third installment in a three-part series. I know the feeling you get as a student pastor when the weekend of your event arrives. You’ve spent months planning and trying to get students to register or give you some kind of commitment that they will be there. You’ve had meetings with parents to hand out packets of information and you’ve met with the volunteers that will help you make the event happen. Then the event arrives and you go into the “zone.” It’s game time and you want to make sure everything happens without a hitch. Like I said, I know the feeling. 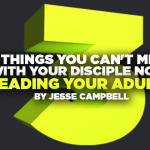 It’s at this crucial moment that you need to make a decision that many student pastors miss. I’ve missed it. I’ve talked to others who’ve missed it. It is the decision to come out of the event execution “zone” and connect relationally throughout the event. You might be thinking, “I would never make that mistake,” or “I always connect relationally with people.” I want to be clear: being present at the event and greeting people as they arrive and depart is not connecting relationally. Don’t get me wrong, I want events to happen smoothly just as much as you do. The problem occurs when we can’t take our noses out of the details for long enough to really connect with people. When you visit host homes or small groups of students, don’t just grab some snacks and move on to the next house. Take the time to listen to what God is doing. Ask the students in the group focused questions about their time so far and what they’ve learned. Don’t worry about getting to the next house on time or about keeping them up too late if conversation is going well. You never know, that one stop may be the most important one you make all weekend. When you meet with leaders throughout the weekend focus that time on feedback they are hearing from the students. Avoid distracting evaluative points like the food is bad or the schedule seems awkward. This isn’t really the time for evaluation. Instead, focus their discussion on what the students are learning. 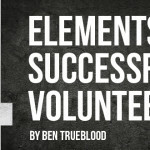 Remember, you probably won’t get to connect deeply with each student at the event, so your volunteers are the gateway to what God is doing across the ministry. Use break times strategically. Don’t run off to your planning app or notebook. Take time to connect with students that you weren’t able to see the night before or that you haven’t had a chance to talk with yet. Dive straight into the weekend conversation focusing your questions on what God is teaching them. Yes, these kinds of questions can feel awkward to a student at first, especially if it’s not something they are normally asked. It is worth the awkwardness, because the more you ask it the more you build into the culture of your ministry comfort in discussing what God is doing. These things may seem simple to you, and even as I write this I am thinking about how simple it sounds. The danger is that oftentimes we forget the simplest of things. Ironically, it is also often that the simplest of things make the biggest difference. It would be a shame for you to look back at the event and evaluate it as a success because the schedule was great, everyone was fed, and there were no issues, only to realize that you missed out on one of the best times in the entire year to connect relationally with the ministry you lead.